One of the newest smartphones from Samsung that was launched just a few months ago was declared “Product of the Year” at the 14th annual PCWorld Latin America Awards in Miami. The event was host to 40 awards that night, and Samsung won 6 out of these. They also one “Best LED TV”, “Best digital compact Camera”, “Best multifunctional printer for enterprise”, “Best Media Storage”, “Best Tablet for Home Users” and “Best Notebook for Enterprise Users”. The Galaxy S3 was the winner of another award, the “Best Smartphone for Consumers”. Knowing that it was released several months ago and already sold over 20 million units, it is a record. 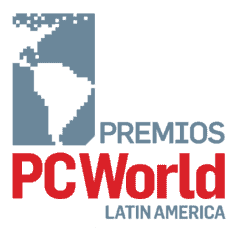 The judges at the Annual PCWorld Latin America Awards are regional editors from PCWorld. The winners are picked based on the products position in the market regarding price, technology, functionality and others.